Napoleon on Kent Apartments - The Napoleon on Kent Apartments Sydney offers modern, self contained apartments short stroll from the historic Rocks area and just minutes from Darling Harbour, Circular Quay and all that Sydney has to offer, making it perfect for both business and leisure travellers. Nearby Attractions : Easy walking distance to the Opera House, The Rocks Circular Quay,Darling Harbour,the Convention Centre,major stores, theatres, restaurants and tourist attractions. Parkview Hotel Sydney - The Parkview Hotel Sydney provides budget accommodation close to the Sydney CBD and the famous Glebe Point Road which contains several nice pubs, cafes and restaurants. Also the Broadway shopping centre is located at the back street of the Parkview Hotel and it features a supermarket, fashion shops and even a cinema. Nearby Attractions : Easy access to public transport, Sydney Opera House, the Rocks, Paddington Markets, Circular Quay and the Sydney CBD. Metro Hotel Sydney Central - The Metro Hotel Sydney Central offers corporate and leisure guests well appointed guest rooms and suites on 10 accommodation floors. The Metro Hotel Sydney Central also boasts an in house restaurant, rooftop outdoor swimming pool and 24 hour friendly reception staff. Nearby Attractions : Provides easy access to Darling Harbour, Cockle Bay Wharf, Sydney Convention and Exhibition Centre and Star City Casino. Azure Apartments Sydney - The Azure Apartments Sydney offers contemporary budget studio and 1 bedroom self contained apartments adjacent to some of Sydney's trendiest cafes and finest restaurants. The Azure Executive Apartments are only a short walk to the Sydney CBD and twenty minutes by taxi from Sydney International Airport. Nearby Attractions : Close to Kings Cross which is one of Sydney’s premier 24 hour entertainment precincts with nightclubs, theatre, bars, restaurants and cafes. Haven Glebe Sydney - The Haven Glebe Sydney offers recently refurbished and fully serviced hotel rooms that are adjacent to Darling Harbour and the City. The Haven Glebe Sydney also features a large outdoor swimming pool, restaurant next to the pool and numerous cafes, restaurants, local art and craft galleries along the nearby Glebe Point Road. Nearby Attractions : With trams, taxis and buses at the door all of Sydney's attractions are just a few minutes away, as well as the many interesting things to see and do in the local area of Glebe. Rendezvous Stafford Hotel - The Rendezvous Stafford Hotel Sydney offers modern studio and one-bedroom apartments that have been accurately restored to their original appearance to provide an original concept in stylish, boutique hotel-style accommodation. Ideally positioned in The Rocks the Rendezvous Stafford Hotel is ideal for the discerning corporate or leisure traveller. Nearby Attractions : Situated within walking distance of many of Sydney’s finest cafes, restaurants, galleries, shopping and most of Sydney's famous icons including the Opera House, Harbour Bridge or Botanic Gardens. Aarons Hotel Sydney - The Aarons Hotel Sydney offers fantastic value for money accommodation with a variety of hotel rooms available. The heritage listed Aarons Hotel is located in the vibrant Haymarket district of Sydney and because it is positioned in the middle of city you can access everything that Sydney has to offer by means of all types of local transport. Nearby Attractions : The Aarons Hotel Sydney is located opposite Paddy Markets, China Town and only moment’s walk to Darling Harbour the CBD and all of Sydney’s major attractions. Sydney Central on Wentworth - The Sydney Central on Wentworth offers unique, budget style hotel accommodation in a landmark heritage building. Ideally located in the centre of the Sydney CBD this budget hotel is close to all of Sydney's major tourist attractions, corporate offices, amenities, shopping centres and public transport. Nearby Attractions : Guests can walk to Circular Quay for ferry or harbour cruises, opera, ballet, theatre, Maritime Museum, Chinese Gardens, Australian Museum, Art Gallery, Botanic Gardens, Museum of Modern Art. Y Hotel Hyde Park - The Y Hotel Hyde Park Sydney provides spacious and contemporary hotel rooms right in the heart of Sydney’s action. Regardless of if you are travelling alone, with a friend or family the Y Hotel Hyde Park is the perfect place to stay is you don't want to break the bank and also feel good about yourself. Nearby Attractions : Positioned only a 12 minute walk from Darling Harbour and a 5 minute walk from Chinatown, as well as numerous Cafe's and Restaurants on Oxford Street. Pensione Hotel Sydney - The Pensione Hotel Sydney combines original early century building features seemlessly with modern design in order to create an extremely warm and inviting accommodation experience. Centrally located in the heart of the city the Pensione Hotel Sydney is the perfect base to explore exverything that the city has on offer. Nearby Attractions : Guests can visit Chinatown or Cinemas, Night clubs, the Theatre, Sydney's Centre Point Tower, Aquarium and shopping districts which are only a short stroll away. Central Railway Hotel - The Central Railway Hotel Sydney is an ideal budget accommodation base from which to do business in the city or for exploring the sights and sounds of Sydney. It is located on Chalmers Street near the Central Railway Station and the friendly and personalised service will aim to meet all of your needs. Nearby Attractions : Ideally positioned close to Chinatown, Circular Quay and easy 30 minute drive to Sydney's glorious beaches. Metro Aspire Hotel Sydney - The Metro Aspire Hotel Sydney is an international hotel that prides itself on its friendly courteous service. The property is the ideal accommodation for people attending an event at Sydney Convention & Exhibition Centre or require easy access to the University of Technology or nearby TAFE. Nearby Attractions : Metro Aspire Hotel Sydney is located only a few minutes' walk from Darling Harbour's attractions, Sydney Entertainment Centre, The Powerhouse Museum and Chinatown. Glenferrie Lodge Kirribilli - The Glenferrie Lodge Kirribilli provides budget hotel accommodation only 10 minutes walk away from the North Sydney CBD. The Glenferrie Lodge caters to interstate and overseas travellers, leisure and corporate guests seeking affordable hotel style rooms that are set in a quiet and peaceful North Shore location. 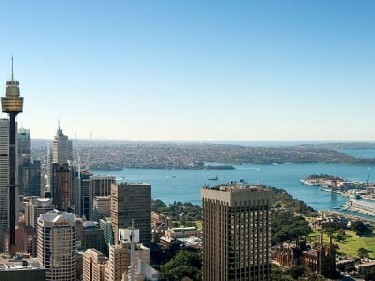 Nearby Attractions : Located in the suburb of Kirribilli overlooking Sydney Harbour and just metres away from the Australian Prime Minister's Sydney residence. Econo Lodge Sydney South - The Econo Lodge Sydney South offers boutique hotel rooms with a selection of facilities that have been designed to make you feel right at home. The heritage listed Econo Lodge in Sydney South provides travellers with a value for money, pub-stay experience within walking distance to many of Sydney's major tourist attractions and corporate businesses. Nearby Attractions : Centrally located in the heart of the city centre close to Darling Harbour, Sydney Entertainment Centre, Sydney Botanical Gardens and Sydney Tower. Capitol Square Hotel Sydney - The Capitol Square Hotel Sydney offers well-appointed hotel rooms at discount rates, which makes it ideal for the budget conscious traveller. The Capitol Square Hotel Sydney has a range of attractions on its doorstep and features high speed internet access and a bar and restaurant on the second floor terrace of the hotel. Nearby Attractions : Provides easy access to Capitol Theatre which is right next door, Chinatown, Paddy's Market, Sydney Entertainment Centre, Central Railway Station and Darling Harbour.